This is an open letter to Hostgator.com in regards to their affiliate webhostingstuff.com. In short they must disclose that they get paid for every referral. Through my screen shots you can clearly see there is no disclosure. Webhostingstuff.com does not disclose on any page that links to Hostgator.com that they get paid for their endorsement of your site. For which they put your company on the number 1 positions for Top Best Hosting and Hot Deal list. Instead they have what is called WHSRank, where supposedly they base ranking off of customer feed back. Regardless of this there are two hosts with more positive reviews then your company. After years of reviewing their site I can tell you that they do not base any ratings off of WHSRank, but off of what they are panning off as PPC, which really is bidding on positions. 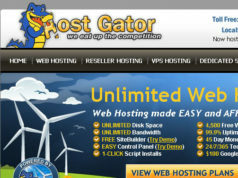 In Hostgator.com’s case they signed up as one of your affiliates. 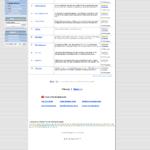 I have suspected for a while now that webhostingstuff was an affiliate of Hostgator.com. That Hostgator.com may not be involved in the ruse called PPC (pay per click) which is no where evident on Webhostingstuff.com’s site or other sites. All it took to find out if they were a Hostgator.com affiliate was a simple cleaning out my cookies going to webhostingstuff.com and clicking on the HostGator.com link and ta da, sure enough a Hostgator.com affiliate cookie shows up in my cookie folder. Firefox seems the best way to watch cookies. From there you get a window to watch cookies as they come in. You can also clean out all cookies from here for Firefox. 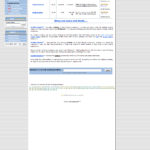 What I did next was go to webhostingstuff.com, clicked on the hostgator.com link. Where for some bizarre reason I have to select from three sets of characters which one has an actual word. After sending me to Hostgator.com I find an affiliate Cookie for Hostgator.com. 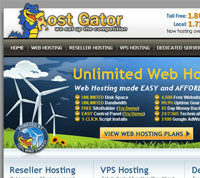 No surprise that Webhostingstuff.com has Hostgator.com at the top of both Top Best Hosting and Hot Deal lists. After all that $50 – 125 per sign up is hard thing to resist. 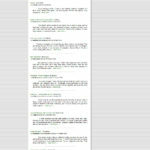 In short I am asking that you have webhostingstuff.com put up a disclosure or that you remove their affiliate access.